The Zurigo Disc steps up to any challenge for the racing privateer. The Zurigo Disc frame is constructed of hydroformed aluminum tubing that's pulse TIG welded for the highest level of temperature control. The frame passes EN safety testing thanks to Italy's diligent QC facility in Treviglio. A carbon fibre fork takes the edge off the hard hits and Kenda 35c tyres open's up a new level of bike control for the rider. The internally routed rear brake housing keeps the down tube smooth and easy to grab while reaching for it during a dismount and run-up during your next cyclocross race. As expected from a brand like Bianchi, the Zurigo looks great straight out of the box. 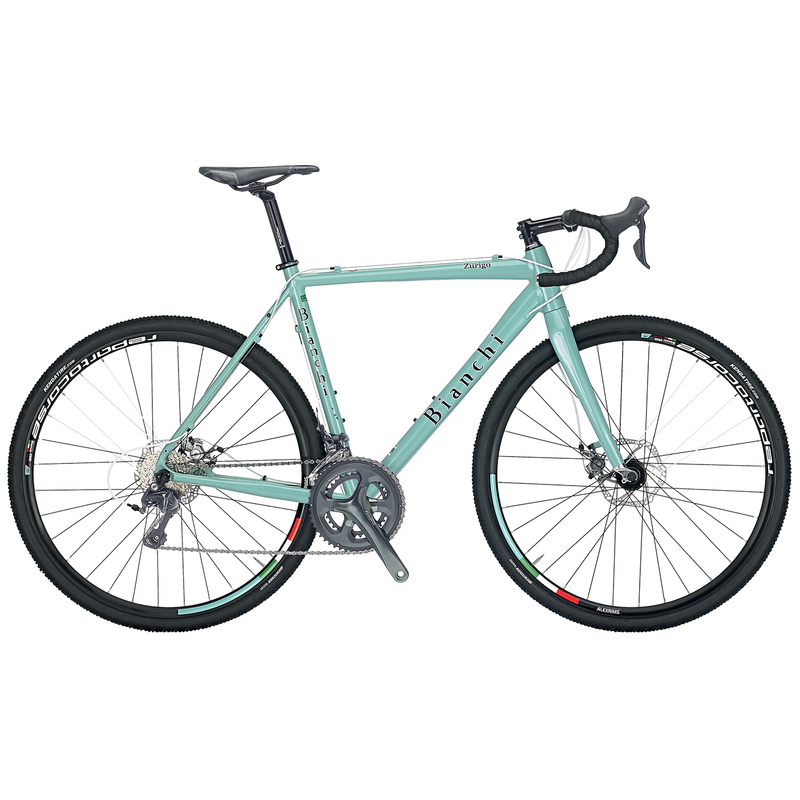 The colour is unmistakingly bianchi. The Matt finish looks a little different, hopefully it cleans up well after getting muddy. The Shimano gears are faultless. Italian bikes probably should have Italian components but at this price level Shimano fits the bill perfectly. The mechanical disc brakes work well, the squeek should go after a ride or two. All in all, a great bike that I'd definitely recommend.